This entry was posted in Dead Bees, Inspections, Month of March, Year 2013. Bookmark the permalink. I too lost a hive this winter. When I openend it up there was about 8 frames full of honey !!!! I believe my queen died or maybe she did not have enough room to lay eggs . It is always devistating to find a dead colony. We do however , learn from our mistakes. Love your posts by the way, even if the last one brought tears to my eyes. Just wanted to give you a heads up about the picasa album, it is not viewable on Apple and android tablets that don’t have flash support. I don’t know if there is a way to embed the album using html 5,but another option is to insert a direct link to the album after the flash embed, so people without flash can still see the album. Thanks, Chris. I’m looking into an Html 5 alternative to Picasa. It will take some time to integrate into the site, but it’s coming… some day. I’m sad for the dead bees. Gonna clean up the box and give it another go? I still have six colonies that are alive and kicking. I’ll add these frames, even the ones full of dead bees, to some of the healthy colonies and they’ll clean it all up in no time. I could have prevented this by checking on the bees earlier in the winter and giving them sugar (and by feeding them more before winter set in). But that’s it. I can’t beat myself up over it. I made a mistake and I learned my lesson. Even though I blew it, having twenty extra drawn frames from the dead hive this spring will come in handy. You have to know about beekeeping to know why, but beekeepers without drawn frames are like farmers who don’t have sprinklers and have to rely entirely on the rain. I have had correspondence from 2 commercial beekeepers about their concern of pollen stores for hives coming out of winter this year. One beekeeper took the opportunity of some warmer weather and checked a number of hives to find that they had little or no stored pollen. This lack of pollen will delay spring build up if no action is taken by the beekeeper. 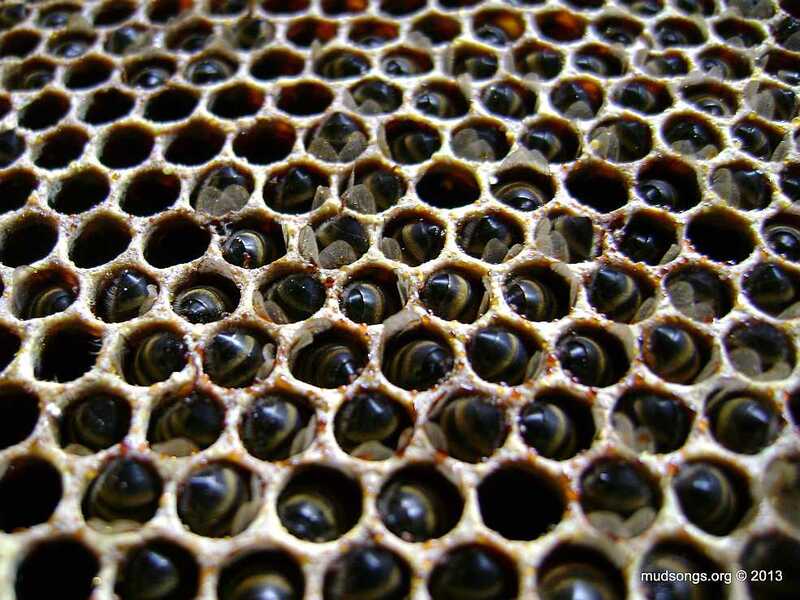 The second beekeeper had checked colonies in the fall for appropriate stores and noticed at that time a shortage of pollen stores and feed pollen patties as part of preparation for winter. The weather conditions of late last summer and fall were such that honey production was impacted and possibly pollen collection was reduced. In order for brood production to take place both carbohydrates and protein are needed i.e. honey and pollen. You should definitely be watching for lack of stores in your colonies as the bees come out of winter and consider feeding pollen substitutes as soon as the weather permits. Is the hive that died out the same one from the Newfoundland blizzard video? If it is, then my guess is that your bees were suffocating because of the snow (good insulation equals no air exchange), so they started ventilation (which you can see in the video), which made them use more energy and all of their honey supplies too fast. …survived the winter and is thriving today.